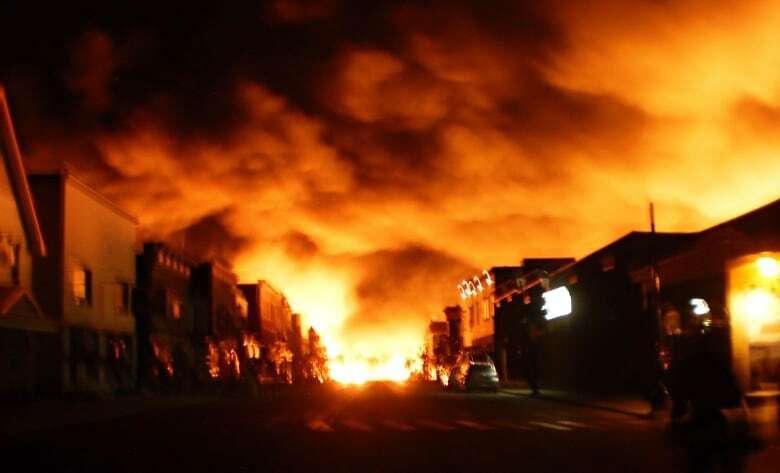 After nine days of deliberations, jurors have acquitted the three former Montreal, Maine and Atlantic (MMA) railway employees charged with criminal negligence causing death in the 2013 Lac-Mégantic, Que., rail disaster. After nine days of deliberations, jurors have acquitted the three former Montreal, Maine and Atlantic (MMA) railway employees charged with criminal negligence causing death in the 2013 Lac-Mégantic rail disaster. 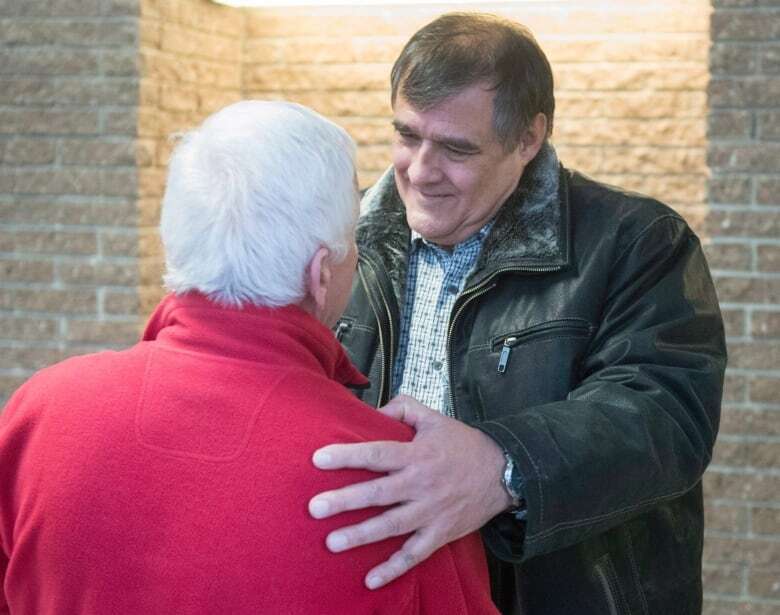 There was an audible gasp in the courtroom and family members of one of the accused cried when the verdict was delivered early Friday afternoon at the Sherbrooke, Que., courthouse. Through tears, Labrie described his relief. He said his thoughts were always with and continue to be with the community of Lac-Mégantic. "I would like to say the people of Lac-Mégantic, what they went through, they showed a huge amount of courage," he said. His voice cracked as he said he hoped the families of the victims received the answers they wanted through the trial. "I wasn't intending to cry. But I can tell you it was difficult — it was a long process." After an emotional Harding quickly left the courthouse, his lawyer spoke on his behalf. "Mr. Harding is too moved I think by the situation to be able to give a coherent expression of what he feels inside," said Tom Walsh. "But I know he feels terribly relieved and terribly thankful to the system, the jury system, to this jury in particular to have taken all the efforts that they took to really understand the situation and not just understand one point of view." Crown prosecutor Jasmine Guillaume said she respects the jury's decision and that her thoughts are with the victims' families. "We respect the decision of the jury, although it was not the verdict we were looking for," she said. "But they had an important role in this criminal trial, and the verdict is the result of the demanding and rigorous work on their part." Two other cases related to the rail disaster are unlikely to proceed in the Federal Court of Canada, following an agreement between the Crown and the defence. All parties are scheduled to meet at the Lac-Mégantic courthouse in February. After a marathon trial which began last September, the eight men and four women on the jury had been deliberating since Jan. 11. The jurors sat through countless hours of technical testimony from train experts and heard dramatic audio recordings of emergency workers and railway employees from the night of the fiery, deadly blasts. They also listened to other former MMA employees, who were called as Crown witnesses and described a work environment they said had little regard for safety standards and no budget for training. All three accused had waived their rights to mount a formal defence to the charges and did not testify or call any witnesses. In all, the prosecution called 31 witnesses to the stand to persuade the jury the three men were each somewhat responsible for the fatal rail disaster. The Crown argued they failed to carry out their responsibilities on the night when the locomotive barrelled down into Lac-Mégantic. Much of the Crown's case revolved around the seven handbrakes Harding applied to the train, whether the engineer tested them and how many would have been sufficient to secure the train properly. The defence for Harding countered that substandard safety practices and one-person train crews at MMA led to a perfect storm that culminated in the disaster. After being sequestered, the jury submitted three questions over the period of nine days. 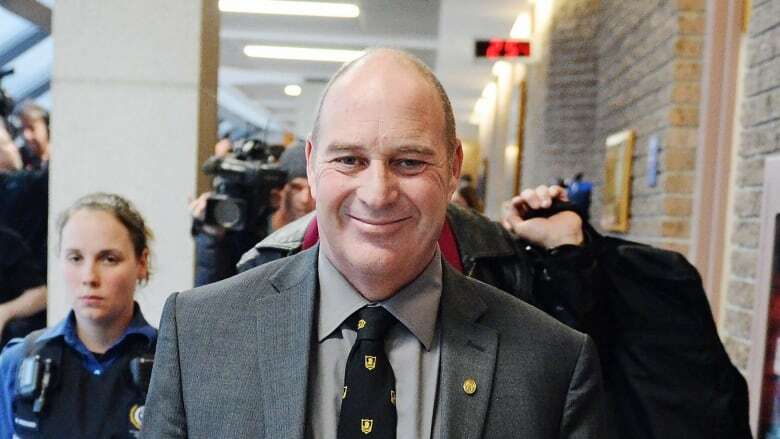 At one point, the jurors said they had reached an impasse but Quebec Superior Court Justice Gaétan Dumas encouraged them to continue deliberating. The jury submitted its third and final question on Friday morning before rendering the verdict a few hours later. "You are the most enthusiastic jury I have ever seen," he said. The verdict has been met with relief from some residents in Lac-Mégantic, including the current mayor, Julie Morin. "The company, MMA, had a big role to play in this," said Morin, who was not mayor back in 2013. "It's impossible that three men alone created what happened to us." She added that disaster could happen again given that trains still pass through the town. She said that risk will remain unless the tracks are moved outside of Lac-Mégantic. "It doesn't change anything," she said. "The scars are still there. Today, we turn the page of a chapter, but the book isn't finished." Jean Clusiault, whose daughter Kathy died in the explosion, praised the decision outside the courtroom. "I felt relieved because these are not the right people who should be there," he said. Clusiault said Harding, Demaître and Labrie didn't deserve to be blamed for the fatal rail disaster and explosion in downtown Lac-Mégantic. "These are human beings with families who worked hard all their lives," Clusiault said. "These aren't killers. We treated them like killers."